If you frequent this blog, you may know that I have a well-documented love for Airbnb. Through this wondrous network of home-away-from-homes, I've been able to snuggle up in cabins in upstate New York, attend Alt Summit without having to share a room with five other women, and even find affordable accommodations for my recent trip to Europe. I've also regularly used Airbnb for when I have visitors here in NYC because, for some reason, my parents don't want to sleep on my IKEA sectional couch (I mean, seriously, what's that about?). If you ask me, Airbnb is the best way to go when it comes to finding the right place to stay. It's cheaper, it's homier, the hosts are wonderful, and it's just a convenient, solid system for making travel easier. I use it so regularly that I actually can't remember the last time I stayed in a hotel. 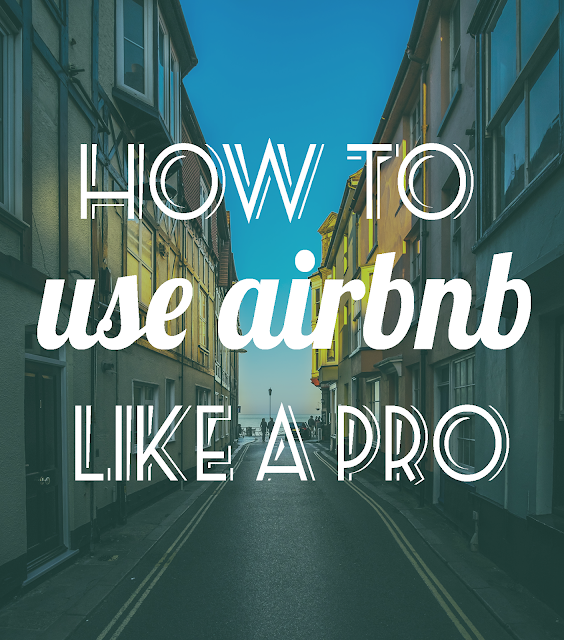 That being said, since I've been around the Airbnb block a few times, I thought I'd share with you today some of my tips and tricks for booking the best possible experience. Let's do this. Do you want the whole place to yourself? Is it important for you to have a washer/dryer? Would you like to stay in a treehouse or a riverboat? If you have specific requests, Airbnb does a good job of helping you sort out the listings that just aren't going to work for you. After entering in your dates and location, you can always choose the More Filters option. From there, you can click through a series of checkboxes or even plug in a keyword (e.g. king size bed, beachfront, movie theater on site). Pro tip: If you are traveling somewhere woodsy, wifi is not a given, so filter your search to make sure that you don't end up in a cabin somewhere without any access to Orange Is The New Black. In terms of room type, you probably know that you have three options to choose from: Entire Place (you get the whole kit-n-kaboodle to yourself), Private Room (you stay in a room where your host will be on site), and Shared Room (you share a room with another human being). As a certified introvert, I always swore that I would never choose any option besides Entire Place. I just didn't like the idea of someone else being around while I hung out in their digs. But while booking a trip to Salt Lake City, I noticed that there were a lot of private rooms available for crazy cheap (like $30 a night) that looked really great. I booked one, and man oh man, it was fabulous. My host was a dream. She didn't ask overly personal questions, walk in on me in the bathroom, or hover over my bed a la The Exorcist. She just chilled and answered my questions whenever I had them. I had a private entrance, so it was basically like staying in a hotel room, only super cheap and actually much nicer. All of that to say: even if you're a total loner, a private room might still be a good deal for you. Some hosts go to great lengths to describe their listing. Some don't. I often steer clear of the ones that don't because I like to be well-informed of what I'm getting into. But I also look for certain red flags, too. For instance, when a host says, "We LOVE making new friends and we hope you will take some time during your visit to sit down with us, have a scone, and tell us your story" -- that's a big ole NOPE for me. If you're into that sort of thing, go for it, but for me, that's just not my bag. Instead, I look for a host that says, "We enjoy hosting our guests, and while we are always available to answer questions, our aim is to respect your privacy." Sign me up for that. Also, be aware of their cancelation policy or if they have weird house rules (A curfew? Am I 17?). Just like a hotel, Airbnb listings often have a high and a low season, so rates are subject to change depending on the month or even the day of the week. Take a look at the calendar on listings to see the availability and cost of each day. You know, be smart. Reviews are at the heart of what makes Airbnb great. For one, they hold hosts and guests accountable. Knowing that you are subject to a review process makes you far more likely to be on your best behavior. But for another, they give great insight into what's really going on. A host description could be like, "I have the best house in the world. Two bedrooms. Two bathrooms. Close to shops. No ghosts or ghouls of any kind, I swear" but then you read the reviews and they are like, "The toilet was broken the entire time I was there, and dude, there were SO. MANY. GHOSTS. If that's an issue for you, don't stay here." (For the record, this is just an example, but man, I kind of wish it were real). Take interest in what a host says about their place, but put your trust in reviews. When you've found a place you love, reach out to the host to say "hello" and make sure they have availability. Be nice, complementary, say what your travels plans are, use proper grammar -- just be a decent human being. Many hosts run their Airbnb listing as a business, but at the same time, they are also welcoming perfect strangers into their home which can be a vulnerable position to be in. Put their mind at ease by showing them you are a considerate person, and you will be far more likely to be approved. Hosts aren't the only ones who receive a review on Airbnb. Guests do too. Think about that before you clog someone's toilet or crank Metallica at 3 AM. In my most recent experience, my hosts only approved people with one or more reviews, and they said they were most impressed with the ones I had received. Not to brag, but I'm kind of the perfect guest. I tidy up, I say please and thank you, I don't scream in my sleep. I basically just act like a decent human being and all seems to go fairly well. Do the same thing and hosts will be far more likely to trust you to take care of their homes. Now that you know how to be the best Airbnb user possible, it might be time to finally give it a try! Here's $20 from me to you to use on your first Airbnb adventure! Have you used Airbnb? What are some of your tips for having the best possible experience? I LOOOVE Airbnb. In March, I stayed in a sweet apartment in Boston that my sister found and since then I've been a total convert. Just last week, we were on vacation in LA and stayed in an incredible townhouse in Silverlake -- I'm talking downtown views, outdoor terraces and a basketball court! And today I booked a cute little house in North Carolina for my best friend's wedding in September. All of my experiences have been extremely positive so far. Since I've been traveling with groups, we've preferred having the whole place to ourselves. I'm a little scared to give staying in a private room a try, but I'll have to take a look the next time it's just me and the hubs traveling. Thanks for the tips, Christy! Totally! The nicest places I have ever stayed have been Airbnbs. I just feel like there is a lot of accountability for hosts to provide a positive experience, and the prices are always so great. If you ever give a private room a try, let me know! I was so resistant to it, but it's a good way to save some money. Please pass on your Boston Airbnb recommendation!!! I'll be there in Sept with my mom!! I am looking into doing Airbnb to do a bit more travelling without busting my house budget too much so it was great to have this review of it to put the mind at ease a little! You know the mind of a woman travelling on her own goes a little off course sometimes 'they could be the kind of person who watches people sleep?' that kind of thing haha! Glad to see you are rocking the guest reviews too, hope I do too and hope I can find nice places to accept me as a first time guest! Yeah, I totally get that mindset! I was really afraid to try it for a while, but Airbnb does a lot to ensure a safe experience. Hope you have a great first-time experience! If you don't have any reviews as a guest, maybe give them links to your facebook or linkedin page, so that they can see that you are a real person with an actual job and stuff. i did that when I went to Europe, and I had no problem as a first-time user. I love Airbnb! My mum and I used it as we road tripped across Canada, both ways. Even though we were doing it at the last minute most of the time (which I don't recommend, it's really stressful!) people were so kind and accomodating, and we found fantastic places to stay. One of my favourites has to be the place we stayed in Winnipeg. The neighbourhood was really artsy and pretty, with amazing bakeries and coffee shops and bookstores. We could have spent days there! I can't think of any tips you haven't already shared, other than to affirm them all myself. The reviews left by prior guests are incredibly useful and reassuring, as you are staying in a person's home - with little to no reviews, you can't know if the person is legit or if it's even safe. Oh interesting! I've never done a last-minute reservation, but I'm glad to get some insight on that. And yes yes yes to reviews. They have made such a difference to the way I navigate Airbnb. You can tell a lot from what previous guests have to say. I have yet to try Airbnb, but I've only heard good things about it. This post definitely makes me want to be more adventurous and get out there! 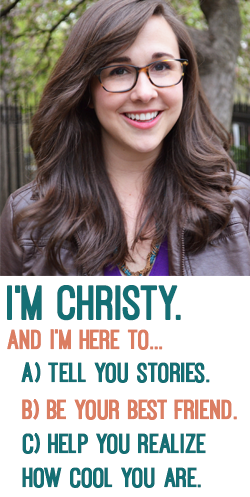 Thanks for sharing, Christy. We did a long European tour last summer - 9 weeks. We used Airbnb and Hotwire where we couldn't. Did about 13 stays with Airbnb... Fantastic! $50 for a little bungaow on the French Riviera (with washer and dryer). Living in Le Marais in Paris -- the best. Neighborhood. Ever. 2 beds and washer for $143/night, and so close to everything. Takes a bit more time to research like you're saying, but wonderful!